One of the all-time great wrestling coaches, Karl Gotch, once remarked that “Conditioning is your hold,” meaning that great conditioning can be a powerful weapon against your opponents. But what if you’re not training for an opponent? What if you just want to look good at the beach or live a longer life free of disease and disability? 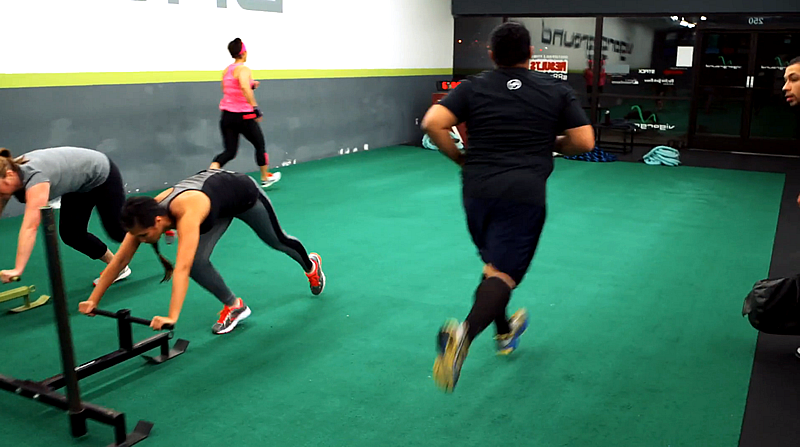 Do you still need to do conditioning (aka “cardio”)? And if so, what’s the best way to approach it to get the best possible results? That’s exactly what we’ll cover in this Ultimate Guide to Conditioning For Normal People. Reduce inflammation. Higher levels of conditioning are anti-inflammatory because it promotes improved function of the vagus nerve, one of the body’s best anti-inflammatory pathways. Live longer. Endurance athletes with the best conditioning have been shown to live up to 7+ years longer than sedentary people. Burn body fat. Conditioning increases the number and quality of its fat burning furnaces, mitochondria, and supports improved body composition. Reduce risk of disease. 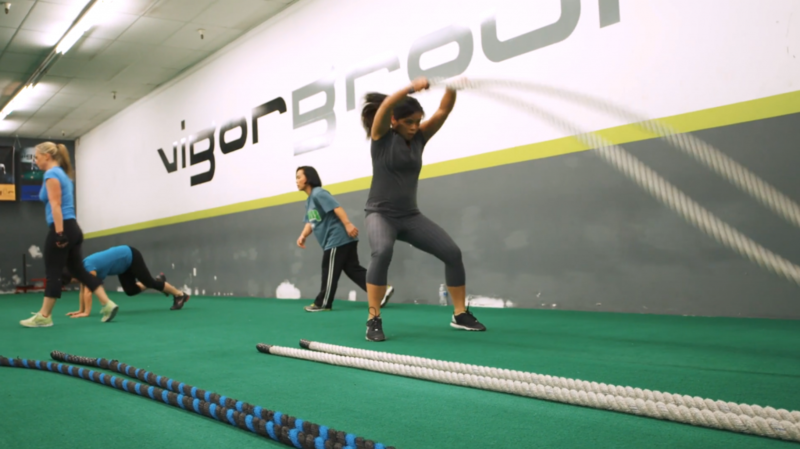 Aerobic fitness and VO2 max have been shown through countless research to reduce the risk of cardiovascular disease, stroke and other common, deadly diseases. Improve memory. Conditioning can help improve cognition, prevent memory decline and support function in areas of the brain linked to decision-making. The only problem is that most people (including most fitness professionals) don’t train conditioning properly. They either do endless high-intensity intervals or nothing at all. However, when you consider the rise of cardiovascular disease, stroke, and other maladies, conditioning can literally be a matter of life and death—especially when it comes to coaching general population clients who work full-time jobs and have stressful, chaotic lives. I believe every fitness professional should understand how to write and coach a basic conditioning program. That’s why I want I want to share what I’ve found to be the most effective strategies to use with general population clients. Step 1: Establish a conditioning baseline. The first place to start any conditioning program, whether it’s for general population clients, athletes, or anyone else, is to establish the conditioning baseline. This is an incredibly important step that’s often overlooked, but without this baseline, there’s no real way to know if conditioning is improving or not. That means it’s easy for clients to get frustrated, since they’ll probably feel like there’s no progress being made. Although there are several different ways to test and measure conditioning, for general population clients the key is to just keep things simple. Overly-complicated, difficult, or time-consuming tests are largely unnecessary and generally won’t give you any more meaningful information than you can get from the simple solutions. 1. Measure resting heart rate and/or BioForce HRV score – Resting heart rate and heart rate variability are the best biometric makers of general conditioning and correlate extremely well to VO2max and other measures of aerobic fitness. Even better, they are incredibly quick and easy to measure. Over time, trends in resting HR or HRV are powerful indicators that conditioning is improving. If you’re unfamiliar with heart rate variability, click here to learn more. 2. Perform a 12-minute work capacity test – The maximum amount of work someone can do in 12 minutes is not just an excellent performance marker of overall conditioning levels, it’s also extremely useful in setting target heart rate zones – something I’ll discuss more shortly. The two keys to correctly performing the test are to choose the right exercise and to provide the right instructions to begin with. For those with lower levels of fitness, a bike, elliptical, or some other low impact means should be chosen. For those with average or higher levels, running is generally the way to go. 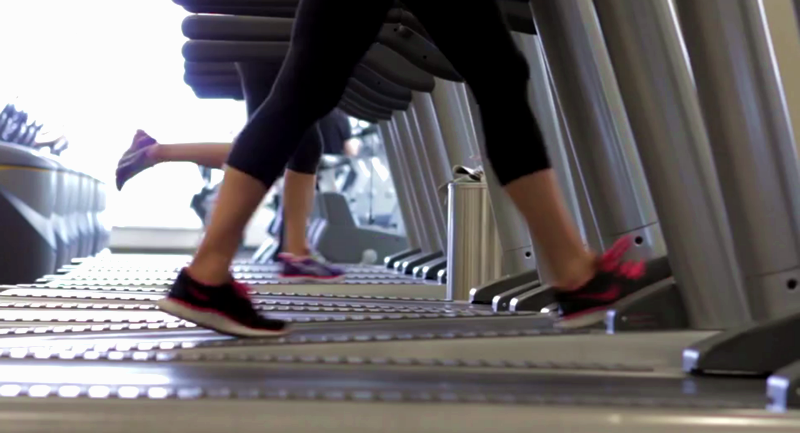 Once the exercise is selected, the client should be told to go at the maximum pace possible that allows them to maintain proper form and technique throughout. Maintaining technique is an incredibly important component of conditioning, so the test should reflect how much work they can perform within this context. 3. Record average heart rate and 60-second HRR – During the 12-minute test, looking at two measures of heart rate can provide a great deal of valuable insight. First, average heart rate over the 12-minute period can give a rough approximation of the client’s anaerobic threshold. It’s not exact by any means, but the term threshold is a bit misleading anyway. The reality is that’s always more of a range than a single number. The client’s average heart rate during the test will give you a good general idea of what this range likely is. Immediately after the test, have the client sit down and record their 60-second heart rate recovery – how far their heart rate drops in 60 seconds. Again, this is an effective measure of their overall conditioning levels and has been tied to their level of parasympathetic function, something that’s incredibly important to their overall health and wellness. Step 2: Set the right goals from the start. Once a baseline has been established, the next step is to use those baseline numbers to set specific goals for the client. The strategy to use here is to include two kinds of goals: outcome based and process driven. Have the client write out these goals on a worksheet, or workout binder, or wherever they will see them every time they have a training session. These types of measurable, outcome-based goals that are about achieving specific objectives are far more likely to keep the client motivated to train. The other type of goals that need to be set are process-driven. These types of goals are often overlooked because everyone just wants to focus on the outcome they’re looking for. The process is the path to reaching the client’s goals – it’s what drives the client towards their goals, day in and day out. The process includes things like how many training sessions per week need to be done, what sort of nutritional strategies need to be followed, etc. Anything related to training, nutrition, or lifestyle that needs to be done for the client to reach their goals should be considered part of the process. Having the client set process driven goals like, “I will train 5 days each week for 60 minutes,” or, “I will get at least 8 hours of sleep each night,” will go a long way towards ensuring they don’t just focus on where they want to go, but rather, how to actually get there. When it comes to conditioning, if there’s one thing that’s often confusing for people it’s heart rate zone training. When you look at all the different heart rate monitors and various zone schemes by different experts and companies making equipment, it’s easy to understand why so much confusion exists. The truth is that a lot of these zone based systems were developed 30-40 years ago and are largely outdated. Once again, the best strategy is to keep things simple and my advice is to avoid the five zones that are commonly used and instead, narrow it down to just three. Using too many zones and trying to explain what each of them does and build a program around them is more trouble than it’s worth 99% of the time. Zone 1 – Activation Zone. This first zone is the lowest heart rates and where people will be in primarily when using the lower intensity methods like cardiac output and tempo intervals. The key is that heart rates are low enough that higher volumes can be used, but not so low that there’s no real training effect. Depending on a person’s age and fitness levels, this zone is typically between about 120-150 for most people. People with lower levels of fitness will of course train towards the bottom end of that range and people with higher will need to be towards the top. You should be looking at a pace that’s an RPE (rate of perceived exertion) of around 6 and people should be able to carry on a conversation at this pace. Zone 2: Threshold Zone. This zone falls above the activation zone and roughly up to the person’s anaerobic threshold range. If the client performed the 12-minute test properly, you should have a rough idea of where this range is – at least in the exercise they used for the test. Another way to estimate someone’s threshold zone is by RPE (rate of perceived exertion) and their ability to talk while they’re working. When someone is in their threshold zone, they should be working at a pace that makes them unable to maintain any sort of conversation back and forth. They should be able to string together a few words and respond to questions, but if they’re able to do more than that, then their heart rate is too low. The threshold zone should be an RPE of about 7-8 and for most people with average fitness, this will typically work out to be in the 150s to low to mid-160s. Of course, people with better fitness levels and thresholds can end up being considerably higher, but that’s rare in general population clients. Zone 3: VO2 Zone. This is the highest zone where the entire cardiovascular system is working its hardest to deliver the maximum amount of oxygen throughout the body. To get to this point requires a large amount of muscle mass being used and a ton of muscle fibers all working and demanding oxygen. This means the VO2 zone is 90% of max heart rate and above. For someone with a max heart rate of 200, the VO2 zone would then be 180 all the way up to 200. Training at these high heart rates is extremely fatiguing and will be an RPE (rate of perceived exertion) of 9-10. For general population clients, only very small doses of VO2 zone training is required. (And for someone that’s completely deconditioned, there’s no need to do any at all.) Also, any time a client is in this zone, paying attention to proper technique is important both for safety and for developing conditioning effectively. Step 4: Use the right amount of volume and intensity. Without question, using the right amount of volume and intensity on a weekly basis is the most crucial and yet challenging element of effective programming. The reason it’s so vital is because of a concept called energy homeostasis. Energy homeostasis is the principle that the brain regulates energy production and utilization above all else in the body. Without a constant supply of ATP, the body’s energy currency, your cells and you will die within minutes, so everything about how the brain works revolves around survival and making sure this never happens. The brain tightly controls both energy production and energy expenditure, and activity and training is a huge component of how much energy you expend each day. When the brain senses a threat to energy homeostasis, (i.e. too much energy is being used), its first reaction is to decrease motivation to keep moving and expending more, while increasing the desire to eat and take in more calories. With all the emphasis on high-intensity anything and everything in recent years, it’s become far too common to think the key to getting better results is to simply do more. More volume, more intensity = more results…or so they think. The problem with this approach is that if often leads to plateaus and it creates a training program that’s simply unsustainable in the long run for your typical general population client. Sooner or later, too much volume and intensity is used, energy homeostasis is challenged, and the brain fights back with decreased motivation and poor results. Clients with low conditioning levels – 3-4 days per week of 30-45 minutes in the activation zone, 1 day per week of 20-30 minutes in the threshold zone. Clients with moderate conditioning levels – 3-4 days per week of 45-60 minutes in the activation zone, up to 2 days per week of 30-40 minutes in the threshold zone, no more than 1 day of 15-20 minutes in the VO2 zone. Clients with high conditioning levels – 2-3 days per week of 60 minutes in the activation zone, up to 1-2 days per week of 30-45 minutes in the threshold zone, no more than 2 days per week of 20-30 minutes in the VO2 zone. With these guidelines in mind, laying out an effective, yet sustainable weekly training program is relatively straightforward. Map out which days during the week will be focused around the different zones and build the workouts accordingly. Strength training will need to be incorporated as well, of course, and should be done so using the principles I laid out in this article. The Final Step: Become a master of personalization and progression. Having had the opportunity to observe and talk with countless world-class coaches and trainers around the world over the last ten years, there’s one thing that I’ve noticed they all do that separates them from everyone else. It’s not that they use some top-secret techniques, methods, or exercises that other people don’t know about. Instead, it’s that they understand how to personalize every single training session and how to constantly progress their athletes and clients over time. If you’re serious about getting to the field, these are the two skills you absolutely must master: personalization and progression. These are the abilities that will set you apart. Pay attention and ask the right questions. Before each session, ask your clients how they are feeling, how they slept, how they’ve been eating, what their stress levels have been like, etc. Pay attention to their body language during the warm-up. Do they look tired? Are they talkative, or are they barely saying a word? The best coaches and trainers watch, listen and learn and use this information to personalize the training session rather than following a planned workout as though it were written in stone. Make technology your friend. Knowing how to effectively use technology can add a layer to your coaching that can have a massive impact on results. The role of technology should be to provide you with information that you couldn’t otherwise get so that you can then use that information to make more well informed training decisions. Powerful tools like heart rate variability can give you an insight into a client’s recovery and help personalize volume and intensity. Other high-tech tools such as the PUSH band can give valuable insight about bar speed and power. Technology isn’t going away and if you want to get your clients the best results possible, learn to embrace it and use it to your advantage. Don’t be afraid to change the program. But have a reason for doing it. Inexperienced trainers new to the field often make up workouts as they go and have no real plan or program. Average coaches take the time to build a training program and follow it to the letter. The best coaches and trainers use their instincts and experience, reinforced by data, to make decisions about what’s working and what isn’t and then make changes as necessary. Training programs should be thought as a roadmap, but if it’s not leading the client in the right direction, don’t be afraid to make a left turn. Just know why you’re doing it. Focus on micro-progressions in every session. An unavoidable truth is that if you want your general population clients to stick around, they need to see progress. They are investing their hard-earned money and their precious time with you. If the results grind to a halt and they feel like nothing is happening, it’s only a matter of time before they move on. We all know that results are rarely linear, but progress, even if it’s on a small scale, can be made in one form or another every workout. Even if it’s just lifting five more pounds, getting two more reps, or being able to do one more set, any feeling of progress is better than none. Throughout the workout and at the end, highlight progress that’s being made and always strive to make micro improvements from each workout to the next. 1. Understand that conditioning is important for everyone. With cardiovascular disease, stroke, and other maladies at an all-time high, it’s imperative that fitness professionals understand how to write and coach effective conditioning programs. Establish a conditioning baseline by measuring heart rate (or HRV), doing a 12-minute conditioning test, and measuring the post-exercise 60-second heart rate recovery. Set both outcome and process-driven goals to increase motivation and compliance. Personalize the conditioning program with Target Heart Rate Zone training, specifically the Activation Zone, the Threshold Zone, and the V02 zone. Use the right amount of volume and intensity by grouping your clients into the following fitness levels: low, moderate, and high. 3. Get the information you need to fill in any knowledge gaps and boost your confidence. If you’re confident in your ability to write strength and power programs but struggle when it comes to conditioning, you’re not alone. Twice per year I take a limited number of coaches into my BioForce Certified Conditioning Coach Course and teach them everything they need to stay on the cutting edge of the fitness industry. Hi Joel, nice articel. I’m working with general population and most of the people can’t afford more than 2 times a week. You are telling us 4-5 times a week. Maybe our culture in Hungary is differnt, but this is almost impossible. I know it is preferred to be in the gym more than 2 time, otherwise result will come very slow. Do you hava any good solution for this? I am not saying someone must be doing personal training 4-5 times per week, only that they need to be doing some kind of training, or at least being as active as possible. If people are doing 2 days per week of personal training, then they still need to perform some other kind of workout, or some some level of activity, during the rest of the week. Most people in the US will do personal training, or group training, as well as train on their own people as well. Great article. You’ve mentioned HRV being a great tool for monitoring client’s stress levels, however in the HRV book it mentions you need to take measurements everyday in order to get optimal feedback. But how is this possible if you’re training your client 2-3 times a week? The clients need to have their own HRV systems and record measurements everyday. BioForce isn’t designed for one system to work with multiple people precisely for that reason, it needs to be measured more often than 2-3 times per week. Great article, as always. But both this and several other programming articles make me curious how you apply this to actual sport like Brazilian Jiu Jitsu. For example, I’m 46, train BJJ roughly four times a week. Sometimes five, sometimes three, but average is four, plus one day in the weight room and two rest days. On BJJ days, my heart rate is determined primarily by who my sparring partner is. If I’m training with a white belt, I can stay in my cardiac output zone, but if I’m training with my 280 pound friend, I’m in the V02 zone whether I want to be or not. If I go to open mat, it’s 2 hours of rolling and I know to consider that a “development day.” But I have no idea how to classify a regular 1.5 hour class of warmup, technique and rolling, and without knowing how to classify that I don’t know how to assign my other days. Should I put my weights on the same day as BJJ and keep three rest or active recovery days? Or should I treat most BJJ days as cardiac output days? Thanks!! How to classify what you do just depends on how hard you’re going and how you feel afterwards. A regular 1.5 hour class of warm-up, technique and rolling could be different levels depending on your heart rate and intensity. If it were me, I’d try to have 2 days of higher intensity BJJ, 2 days of lower intensity BJJ and then a couple of strength training sessions mixed in. Ideally, they’d probably be on separate days, but you could combine one of them with one of the BJJ session days as well. Great article, and these concepts are easy to apply to people who are training for training sake (i.e they just want to get into better shape or look better, so their training is in a gym) but what about people who are deriving their cardio/conditioning from actual non-gym activities? For example, what do you do with an individual who mountain bikes 3-5 days a week (or similar sport) and wants to lift 2-3 days a week. Mountain biking will have trail sections that place the participant in each of these heart rate zones. Some of that depends on how hard they are charging, but a lot of it is just determined by the difficulty on certain trails. I love your content, but I’m not sure how to apply it outside a gym. 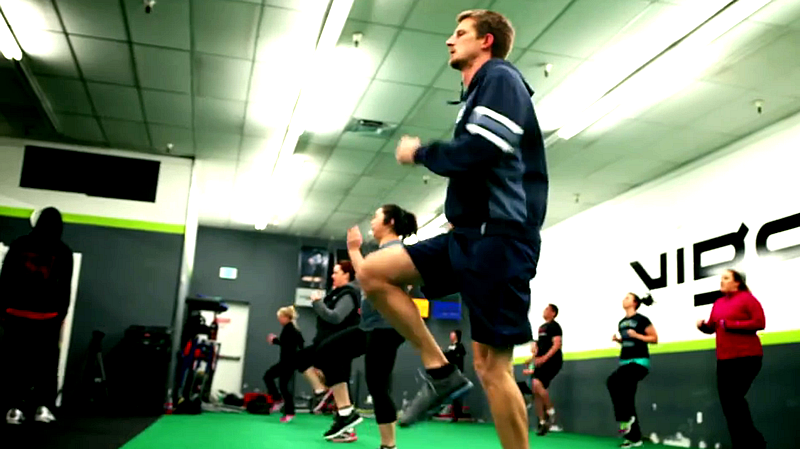 A lot of people want to build their fitness program to include the sports they love. 4-5 days a week in the gym for conditioning and strength doesn’t leave much time (or energy) for things like rock climbing, mountain biking or snowboarding. How do you make these part of the program? You just have to build their strength and conditioning program around their other activities. They should be focused on the things they enjoy doing and if that’s mountain biking or rock climbing or whatever the case may be, they probably don’t need 4-5 days in the gym on top of it. Those activities are just another form of training and should be considered as such. If someone mountains bikes 3-5 days per week and they’re putting in a lot of hours, then probably just 2 days of total body lifting is likely all that’s necessary or beneficial and they’re probably already getting plenty of cardiovascular training outside the gym. Great article! I’m curious if you have a general cutoff or guide that you use to determine (for instance, a 12-minute run test) low conditioning and moderate conditioning levels. My idea of a moderate level of run conditioning might be way off from your idea. The difference is – I would trust your opinion over mine. My guess is the low level of conditioning cutoff would be about 2,000 meters in 12 minutes. And maybe 2,100 meters to 3,000 meters for moderate conditioning?